A trade secret is any know-how, invention, or other information which a business owner believes provides him with a monetary or competitive advantage in the marketplace. A trade secret can include things like formulas, patterns, physical devices, ideas, business plans, customer lists, file copying, processes and more. Trade secrets are often the most valuable assets of a company and are often critical to the businesses success. Businesses consider trade secrets proprietary or confidential information and for internal use only. If a trade secret is revealed or illegally shared with competitors, it can be devastating and cause permanent damage to the company – imagine if Coca Cola’s formula was made public. Any information that a business voluntarily provides to an outsider or third party, whether a customer, a website post, a trade association or another company or vendor, cannot be protected as a trade secret unless the recipient signs an appropriate confidentiality agreement. To protect their interests, companies are encouraged to take precautions and institute good trade-secret policies like using non-disclosure, confidentiality and non-compete agreements. Employees, consultants, independent contractors, investors, and potential business partners should sign an appropriate confidentiality agreement. Companies should also utilize confidential warning labels, and restrict physical and electronic access to data and information. Trade secrets, unlike other intellectual property, do not require a filing with a state or federal government agency but are protected under state law. Each state has statutory laws and a body of case law that allows the owner of a trade secret to sue someone who misappropriates that secret. Trade secrets do not expire and can last forever. 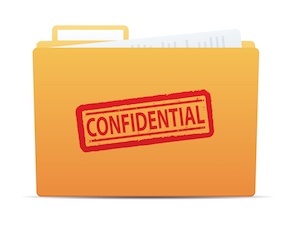 At KALIS, KLEIMAN & WOLFE, we work to prevent and protect our business client’s trade secrets. We have represented and counseled employers and employees in disputes involving trade secrets, non-compete agreements and non-solicitation agreements and other aspects of trade secret litigation. If your company or business need help preventing their trade secrets or needs help litigation a trade secret claim, contact the experienced Davie Business Litigation Attorneys at KALIS, KLEIMAN & WOLFE, the South Florida-based law firm today at (954) 791-0477.